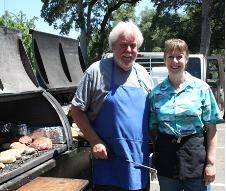 Members, spouses, family members, and guests are all invited to attend the Club’s Annual Spring Barbeque Picnic luncheon held at Recreation Park, Auburn. Pre-paid reservations are necessary to accommodate the caterer’s need for determining food inventory quantities. 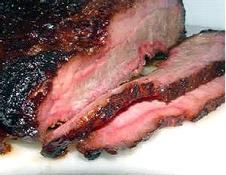 This quality caterer has provide excellent BBQed food for past club picnics and has received raved reviews. 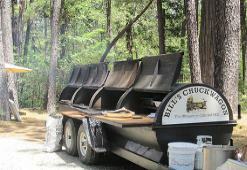 Barbequed tender beef and savory chicken entrées are prepared on-site from a huge barbeque-wagon and served hot. 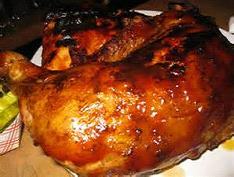 Included are side dishes, salad, ranch beans, and fresh baked breads. A variety of free beverages are included at an open bar offering choices of sodas, beer, wine, and water. Utensils, flatware, and other event necessities are all provided. Children under twelve are free to attend the luncheon. Volunteers and attendees are welcome to bring their favorite appetizer or dessert to share. Attendees are encouraged to arrive at 11:00 a.m. with lunch served at noon.